A brand new facility has united Batley and Dewsbury fire stations. 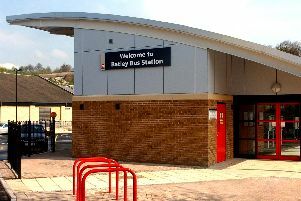 West Yorkshire Fire and Rescue Service has opened the new station on Carlton Road, which lies between Bradford Road and Halifax Road. The opening marks the completion of the merger between the two fire stations and accommodates 44 firefighters from the two units, as well as two fire engines. The move has been two years in the making and despite early fears about potential redundancies among staff as a result of the changes - no jobs have been lost. A young firefighters suit e is also being built next to the new station, offering an on-site educational facility for children in the area. It caters for up to 20 pupils and a garage space for a young firefighter vehicle as well as a kit store. The station is open two months ahead of schedule. A spokeswoman for West Yorkshire Fire and Rescue Service said they are looking at holding an official opening ceremony being held in November.